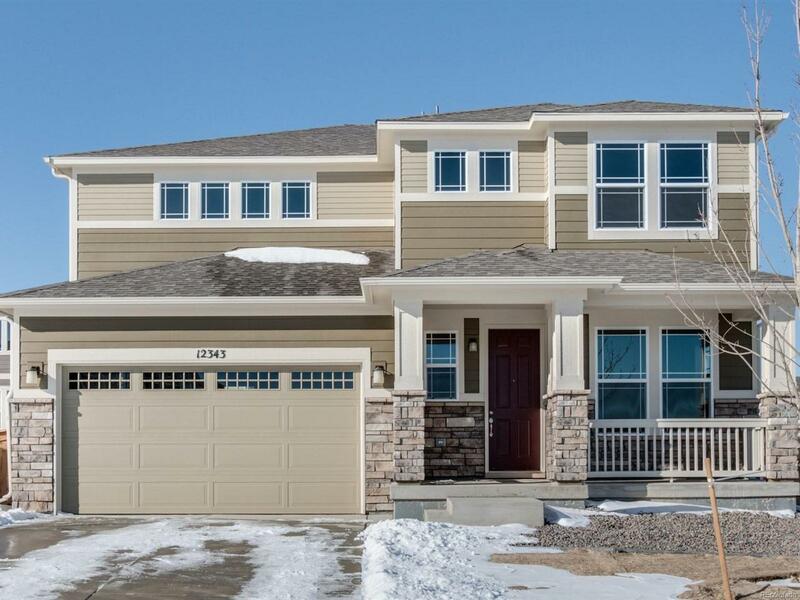 Brand new energy efficient home ready NOW.The Glacier features kitchen with center island, walk in pantry, eat in dining, Great room with a fireplace, Master suite with huge walk in closet and luxurious bath with his and hers sinks, walk in closets throughout and beautiful outdoor living space. Love living at Aspen Reserve conveniently located close to Downtown Denver. Known for their energy efficient features, our homes help you live a healthier, quieter lifestyle while saving you thousands on your utility bills.